Ever wonder what your neighbors think about that pothole at your intersection? Worried that you're not tuned in with the latest community concerns? Fear not, SeeClickFixers! Our watch area feature allows you to stay connected with your neighbors while giving you real time updates about local issues, with just a few clicks. Let's say you're a SeeClickFix user living in New Haven and want to receive updates about what is being reported right outside your door. You would first log in and then click on "Watch Areas" at the top of your issues list. Here you will see a list of watch areas in and around your community. These watch areas are created by community groups, neighborhood associations, or by concerned citizens like yourself. Select a watch area from the list on the right and it will appear on the map. Click "Details" to see what is being reported in this area. The community page for the selected watch area is where users can view a map of the area, see a list of issues reported within the watch area boundaries, see the status of area issues and read a description about the watch area. Get excited! You're one click away from getting notifications about what's happening in your neighborhood! Click the "Watch Area Followers" tab, circled at left. Simply put your name and email address in the fields and join others in following your community on SeeClickFix! Whenever an issue is reported within the watch area you're now subscribed to, we will send you an email alert to tell you about it. So whether you need to know what's happening in your neighborhood, want to stay in tune with issues related to a cause you care about, or are just curious about your neighbors concerns, following a watch area is a great way to get real time information about your community. President John F. Kennedy stated in his inaugural speech on January 20, 1961, "And so, my fellow Americans: ask not what your country can do for you, ask what you can do for your country." Though times have changed significantly, these lasting words continue to resonate for many Americans today. Our involvement in communities is one way of answering the challenge of what we can do our country. Reporting of issues that affect our local communities, the organizing of groups and events, and generally being a steward of our local communities can positively affect the community as a whole. The question of how to even get involved--and finding time to do so--has been traditionally challenging. Hyperlocal websites like SeeClickFix.com have enabled efficient community involvement through their technologies. They have opened new communication channels to local government officials and to the community. Ease of use, anonymity (when needed), and 24x7 posting availability are just some of the advantages of using hyperlocal websites to report local community issues or events. Posting of issues and events in real time--and making it available for the public to view, comment, and organize--changes the dynamics of how we interact within our communities. The days of mailing letters to your local representatives and organizing events via flyers are limited. Hyperlocal websites and the technologies they utilize enable us to become more active in our community with the click of a mouse. The outstanding question around hyperlocal websites remains: is it enough for us to become involved in our communities? Please take a minute to address this question in the following survey on hyperlocal websites and community involvement! Both the Meriden Record-Journal and WFSB Eyewitness News are talking about the latest community turning to SeeClickFix this pothole season. Meriden, CT has 189 miles of roadway, along which over 700 potholes are patched each year. Residents of the community can easily point out a long list of pothole plagued roads to avoid, helping to inform both drivers and city officials about the dangerous conditions. Meriden has started using SeeClickFix to address residents concerns and smooth the streets, encouraging everyone to report issues such as potholes using our website and mobile apps. Bob Bass from the Meriden Department of Public Works, featured on a WFSB Eyewitness News segment about their road repair efforts, explained to viewers the benefit of using SeeClickFix. "It gives them another opportunity to get a hold of us," said Bob Bass, of the Department of Public Works. "Instead of picking up the phone if you see something, with your smartphone you can send something through your smartphone, or you could still call us, but it works out very well." As is the case in most communities, the city will be repairing potholes according to priority. Users in Meriden can use SeeClickFix to advocate for the areas they believe are most in need. By commenting on and voting for their neighbors issue, and encouraging others to do the same, residents can ensure their priorities are the city's priorities. We're thrilled to see another example of how citizens and their city can communicate and collaborate to solve problems and improve their community with SeeClickFix! To view the WFSB Eyewitness News segment, click here! To read the Record-Journal Article, click here! Jason Sznol had been freelancing for SeeClickFix starting in early February. We quickly grew to appreciate his mobile skills and collaborative personality and offered Jason a full-time gig as our lead mobile developer a few weeks ago. We've been super excited to add Jason to the team and we all wanted to offer a welcome and thank you for the much anticipated Android app that was released today. Jason will be working to further improve the app experience for SeeClickFix including a major update to the blackberry application to be released next quarter. Welcome to the team Sznol! Just weeks after launching its Facebook App, SeeClickFix announces the latest addition to its happy family: the brand spankin' new Android application (courtesy of our mobile app developer, Jason Sznol). You can download the new Android app here. If you have trouble installing the new app (and signed up to beta test for us), you must uninstall the beta before using the new Android app. We really love feedback from our users and would appreciate if you rated the app in the Android Market honestly. Help us help you! Though I may avoid the bean, coffee smells like freshly ground heaven to most people around the SeeClickFix office. With the help of the Newbold Neighbors Association, our relationship with coffee will be getting a bit stronger. Based in Philadelphia, the Newbold Neighbors Association just launched its very own SeeClickFix contest hoping to stir the pot and wake up the local government. Lasting until May 30th, residents can espresso their concerns through several means from the Newbold widget and SeeClickFix main site to the SeeClickFix mobile site and smartphone apps. Not tech-savvy? Don't fret; you can even call 877-853-1552 to submit issues brewing in the area. With coffee being offered as the prize, Newbold residents should grab their mugs and start grinding away in their neighborhood. When May ends, two $25 Ultimo Coffee gift cards will be awarded: one for the person with the most submissions, and the other for someone randomly selected who submits four or more issues. According to the Newbold Neighbors Association, there are two ways to have issues count for you: submitting them under your designated SeeClickFix account OR emailing the town watch whenever you submit an issue (if you want to report concerns anonymously). For Newbold residents, the best part of waking up may soon be seeing their issues fixed. From concerns (like potholes and litter) to suggestions (like planted trees and community murals), you can report issues whatever flavor you choose! From the 'Hoosier State' of Indiana to the Emerald Isle of Ireland, SeeClickFix continues to appear on campaign trails across the globe. Recently, South Bend found itself on Newsweek's list of America's Dying Cities. According to Ellison, this image of South Bend contrasts greatly with the one he remembers and wants to grow: the South Bend known for its outstanding civic engagement. Let's stop the same old politics as usual. We need new individuals who are committed to new ideas. If we are going to build a 21st Century City, then let's stop using yesterday's materials. This is where SeeClickFix comes into play. South Bend residents can report problems in real-time complete with specific location, image, and description of neighborhood issues. With our cost-effective online and mobile tools, Ellison believes citizens can easily communicate neighborhood issues to their city officials. Concurrently, SeeClickFix increases transparency and accountability of local government officials by broadcasting concerns on our public forum. We have neighborhoods that are waiting for a voice. We have communities in need of leadership. We have a city pleading for change. When I look in my daughter's eyes, I know we will recover. There may be two South Bends, but I choose the South Bend that is the All-American City. I truly believe that we can get there one day. We are all in this together and we must all work together to make this vision come true. Thousands of miles away, one Irish resident hopes to utilize SeeClickFix as means of identifying and addressing citizens' concerns. Running for Dublin South Central of the Irish Parliament, Oisin Ó hAlmhain came across SeeClickFix after reading Jared Duval's Next Generation Democracy. With our open-source software, governments can start tracking and responding to community issues with just one click. HAlmhain emphasized how our site can also allow citizens to tackle problems themselves. For example, it there is a littering problem, a community may spot it and organise a clean-up. The system is transparent, so you can see other people's comments, sometimes suggesting ways of sorting your problem out. HAlmhain even sent a letter petitioning the use of SeeClickFix to Phil Hogan, Ireland's Minister for the Environment, Community, and Local Government. We look forward to seeing how hAlmhain and Ellison continue to utilize our technology on the campaign trail! Interested in being updated about these candidates? Follow the campaigns of Ellison and hAlmhain, respectively. What do an abandoned lot, a boarded-up home and a graffiti-ridden underpass have in common? Each of these prevalent urban landmarks provide a golden opportunity for communities to improve their public space! Reporting an issue on SeeClickFix about a vacant house or an overgrown lot does much more than simply call attention to it. Chances are, many of your neighbors have ideas on what can be done to best utilize the space. Working together by sharing feedback, suggestions and information, SeeClickFix users can collaborate and transform neglected public spaces into valuable neighborhood resources. In New Haven, residents of the Fair Haven Heights neighborhood are using SeeClickFix to share ideas on how to revitilize their riverfront community. Issue #95752 reported by FairHavenHeights_Parents outlined a few ideas on what could fill the empty space currently there. I believe we have enough families who would go there every day if there was a small market, a nice restaurant on the water and some kind of outside seating where we could sit by the water and have lunch, coffee, etc. Build a parking lot, plant some trees and put some tables outside...You don't need a lot to make that a nice space- the river and marina view is enough. An issue can also serve as a call-to-action, or as a catalyst for conversation about the needs of a community. An anonymous reporter in Bremerton, WA created issue #93750 - Community rain gardens in dire need of weeding!, asking for help with post-winter maintenance. Another user in Prince Albert, Saskatchewan posted issue #83825 - Suggestions for Field House to discuss how their local recreation center could better serve the community while boosting membership. So now that you know what an abandoned lot, a boarded-up home and a graffiti-ridden underpass have in common, what would you do with that space to improve your community? With the help of social media, police officers have been exploring new ways to serve and protect their citizens according to The Next Web. The tech-focused blog detailed how social networking sites like Facebook and Twitter allow for instantaneous communication and information sharing on a large scale. Utilizing these outlets, police departments encourage greater interaction and dialogue between the people they serve and themselves--an idea that SeeClickFix can proudly stand behind. Perhaps the most interesting change, however, ties directly into police investigations. Based in New Haven, SeeClickFix recently witnessed firsthand how its online tool can actually aid local police units as they challenge crime in their communities. Reported 12 days ago, Issue #94124-Prostitution involved the presence of prostitutes on Chapel Street between Norton and Winthrop. With their 'Gripe of the Day' feature, the New Haven Register decided to look into the problem and spoke with the police department on April 11th. Lt. Ray Hassett told the newspaper they would look into it---and they sure did. Just three days later, the New Haven Register reported that nine individuals were charged with prostitution after the police department conducted its recent sting operation. This issue not only demonstrates the ability of SeeClickFix to keep communities safe and crime-free. It also shows the power of collaboration. When local governments, media organizations, and citizens work together, everybody wins. As my time winds down here at SeeClickFix, I thought it would be a great idea to share my internship experience with the SeeClickFix community. While I have interned at other companies before, this internship experience was the most unique. It’s not every day that interns sit in the same office as the CEO! During my internship here, I have been made to feel like part of the SeeClickFix team, being included in every team meeting and brainstorming session. 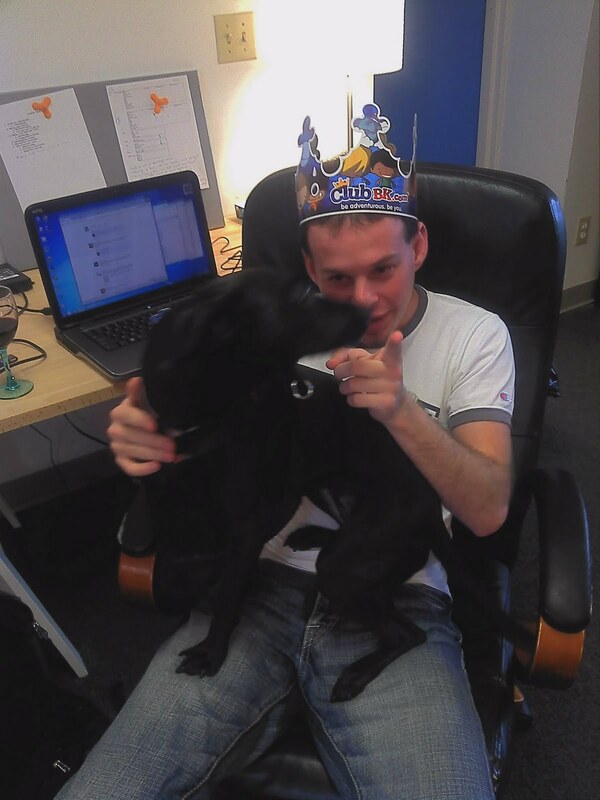 I often found myself missing the atmosphere of the SeeClickFix office on the days that I was not scheduled to work. The knowledge and work experience I have gained is vast and valuable having worked on a variety of assignments like writing blogs and media outreach. And I must admit I was a little nervous at first! I definitely had my missteps along the way like when I signed up a government official for the wrong watch area (thank you Ben for not getting mad). However, I quickly learned how to write an apology letter and improved on navigating the SeeClickFix website to avoid making those errors again. As I look back on my first few days up until now, I can confidently say that I have learned the inner and outer workings of how to build a successful company. Plus, I made great friends along the way. I will be taking my newly gained knowledge and moving on to another internship this summer. However, I will still be around the New Haven area in the fall. And who knows? Maybe I'll be back! For now, I would like to say farewell to the SeeClickFix community. You have all made my time here interesting and wonderful! TucsonVelo.com, an online source for news, advocacy issues, events and people important to Tucson's thriving cyclist community, recently featured SeeClickFix as a resource for combating road hazards. How to: Get bike lane hazards fixed was created after TucsonVelo.com editor Michael McKisson encountered a pothole that stretched across a bike lane and decided to take action. After reporting the pothole on SeeClickFix, and contacting the Tucson Mayor's chief of staff Andrew Greenhill, the Mountain Avenue crater is on it's way to a full fix. McKisson wanted to share his experience, and the suggestions he received, to help other cyclists effectively advocate for their reported road hazards to be fixed. His in-depth resource guide lays out his process in three in-depth steps. The first way to report the issue is to use SeeClickFix.com, a website the city partnered with a little over a year ago to make it easy for the public to report road issues. You can report problems on their website, through a smartphone application which uses GPS and easily allows you to upload a photo. Lastly, SeeClickFix just launched a Facebook application, which allows you to report it on Facebook. Greenhill said the city has received hundreds of reported issues through SeeClickFix.com since the city started working with the site.He said when the city receives a report from SeeClickFix, it is entered into the software system the city uses to track maintenance issues. SeeClickFix.com has a built-in feature that allows users to vote for issues they want to see repaired. Greenhill said a report is generated each time someone votes for an issue to repaired. The votes are something they take into account. “The more people vote for a specific issue, the more the government should take that into consideration as they put together their work schedule,” he said. While not expressly allowed by the city, some issues can easily be fixed by cyclists themselves. I’ve seen a rider pull out a pair of pruning shears to trim plants that were encroaching into the bike lane on Mountain Avenue. A huge thank you to TucsonVelo.com for including us in this valuable resource for road safety. We look forward to seeing what cyclists in Tucson are SeeClickFixin' on their daily commute! To read the entire how-to on TucsonVelo.com, click here! Hoping to better communicate with residents and improve his community, Councillor Jeffrey Knoll recently started using SeeClickFix to track and acknowledge issues reported in Ward 5 of Oakville, Canada. We're interested in being part of a social community, sharing experiences electronically. Rather than just talking about Charlie Sheen's tiger blood, you can use that same energy to bring some good to your community. With SeeClickFix, Oakville residents can report non-emergency issues, like potholes and graffiti, through multiple channels--SeeClickFix.com, mobile devices, and the new Facebook Application. Once those issues are reported, Knoll receives alerts about them and can subsequently respond to citizens. This gives the public a really simple mechanism to provide some basic details like they would on a social networking site and send it off to whomever can fix it. It's all automatic, really. A large bag of plastic containers is sitting on the NW corner of Glenashton and Trafalgar. I thought it was from the clean-up on Saturday, but judging from the garbage nearby, I think someone could have just dumped it there. Within the same day, Knoll acknowledged and closed the issue after the Haltom Waste Management removed the trash. A huge SeeClickFix thanks to Councillor Knoll for being so responsive to his constituents. We look forward to seeing how Ward 5 uses our site to see, click, and fix issues in its community! Last May, Jonathan Tisch featured the SeeClickFix founders in his book Citizen You, which highlights individuals "using their expertise to find new ways to solve old problems." By showing readers how others are working to change the world, Tisch challenges everyone to become more active in their communities--an idea that SeeClickFix encourages daily. La Plata County goes Pro! SeeClickFix is proud to announce our partnership with La Plata County, CO. With a SeeClickFix Pro account, La Plata County is offering citizens a new way to report non-emergency issues and communicate their concerns with public officials. Our partnership with La Plata County will allow residents to report country road maintenance, damage, or other minor issues directly to the La Plata County Department of Public Works. A press release announcing SeeClickFix to the County explained the scope of the work done by the DPW. The La Plata County Public Works Department is responsible for the maintenance of 686 miles of county roads, which includes 196 miles of paved and 490 miles of gravel roads. Some of the typical services provided include winter and summer road maintenance, maintenance of drainage facilities and structures, roadside mowing, sign installation and maintenance, and annual striping of roads. Since introducing SeeClickFix, the La Plata County DPW has acknowledged and closed a range of traffic and transportation issues reported by residents. Additionally, area community groups such as the Durango Wheel Club are glad to hear their local officials are engaging citizens, encouraging participation, and working towards improving their community. To learn more about how La Plata County is using SeeClickFix, click here! To learn more about the Durango Wheel Club, click here! Back in late March, we told you about how one citizen dedicated an entire Facebook page to the pothole-riddled Alger Street in Brockton, MA. 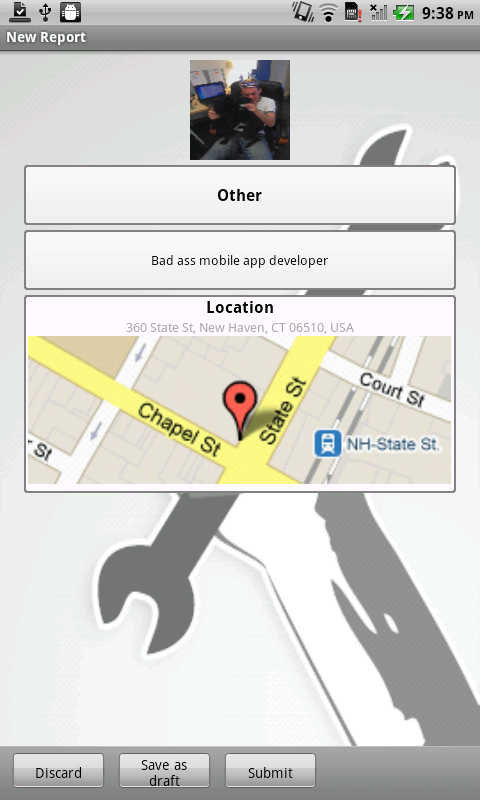 Now, the local blog BrocktonBeat has dedicated an entire section of its site to SeeClickFix. Described as an online news and lifestyle magazine, BrocktonBeat hopes SeeClickFix can help its community better address problems such as potholes, graffiti, and dangerous streets. Just yesterday, BrocktonBeat itself reported an issue to SeeClickFix. Cars, trees, and lawns have been thrashed. Latest on 4/16/11 when a car at 3am missed the curve and ended up going thru 4 peoples' front yards. Thrashed the yards, mailboxes, and doing over $1000 in property damage. Help champion SeeClickFix in this 'City of Champions' by clicking here! Last week over 5,000 planners, citizens and officials attended the American Planning Association's National Planning Conference in Boston. The conference featured a variety of workshops and presentations, including one featuring SeeClickFix and our CEO Ben Berkowitz. The SeeClickFix Facebook app is an example of new technologies that connect citizens with urban planners to shape and improve communities. "What's Next in Urban Planning Technology" was a collaborative presentation between SeeClickFix, Crystal Wilson from PlaceVision and Chris Haller from Urban Interactive Studio and EngagingCities. Attendees learned how new technologies, such as mobile polling and Facebook apps, are being used to promote citizen engagement, empowerment and communication. The presentation showcased how innovations in technology can be used not only to engage citizens and make urban planning easier, but how they can make planning fun! The presentation was enlightening and informative to both attendees and presenters! Ben tweeted some of what he learned while presenting shortly after the session wrapped. Thank you to Crystal, Chris, and all who attended #APA2011! To view slides from the presentation "What's Next in Urban Planning Technology" click here! Nearly a year ago Shaw's supermarket shuttered the doors of their Downtown New Haven location. The closure of the store left nearly 100 people without jobs and turned the greater Dwight community into a "food desert". However, today The New Haven Independent reports residents in this area have welcomed a new neighbor: full-service supermarket Stop & Shop. In addition to notifying residents about the closure, his issue description also included a list of things everyone in the community could do to help. Distributing surveys to citizens, monitoring safety in the empty Shaw's lot, starting petitions to bring a supermarket to the location and continually voicing concern over the issue were some of the things he suggested to keep the community actively engaged. It wasn't long until others began posting their opinions, concerns, and ideas to Dougs issue on SeeClickFix. Mark Abraham, the Executive Director of DataHaven posted a link to a survey from the Dwight Supermarket Concerned Citizens Committee. He explained it's importance and encouraged users to spread the word and the survey. A supermarket in central New Haven is essential and is a matter of health equity. For those of you who do not want to print and fill out the survey on paper, a link to the online version of the Dwight Supermarket Concerned Citizens Committee's survey will be posted here very shortly...Once it is posted, please circulate the online survey link to all of your email contacts. Encourage as many people as possible to fill it out. Please post your general comments and ideas on this thread, and encourage your neighbors to do the same. As time passed, SeeClickFixers kept the conversation going by posting updates on the issue and ideas on new grocery stores that could occupy the space. SeeClickFix "Heman" Juli even offered a unique suggestion on how residents in the community could still have access to fresh produce. i recently learned of a really inexpensive and easy way to grow your own vegetables indoors- several in one window. you make it yourself with recycled water bottles, etc. The wait for that replacement is now over. On Thursday evening Dwight residents, public officials and community leaders were invited to the grand opening the new Stop & Shop. Wider aisles, brighter lights and soon-to-be installed bike racks are just some of the improvements the grocer made to their new home on Whalley Avenue. From potholes to fresh produce, citizens are reporting an impressive variety of issues with SeeClickFix. We are proud to have provided a platform for all those affected by this issue to voice their concerns and share information. Thank you to all who helped bring Stop & Shop to our community! To read the story in The New Haven Independent, click here! To view the SeeClickFix issue, click here! 'Raindrops on roses' and 'whiskers on kittens' may not be some of our favorite things here at SeeClickFix. Seeing issues fixed, however, definitely falls into that category--especially when those issues are reported by first-time users. Reported one month ago and viewed 42 times, Issue #88460- Ugly garbage & shopping cart involved the dumping of trash and shopping carts along Parkway Street and its bridge in Hamden, CT. SeeClickFix user Helen B. submitted the issue, believing her neighborhood was being ruined by this activity. Another user Brian agreed the mess should be cleaned. This is fantastic--as a first time user, I am so impressed. It shows that the local governments are using your website and can clean up! Thank you!!! With SeeClickFix, citizens anywhere in the world can report and monitor issues in their neighborhoods. When these citizens see their issues fixed, they're more likely to become engaged in their communities on a greater scale, and that benefits everyone everywhere! Parents, students, staff and school officials at Clarkston High School in Clarkston, MI are using SeeClickFix to voice concerns about the hazardous traffic conditions that arise every day at first and last bell. After seeing a SeeClickFix widget on The Oakland Press website, CHS Parent Teacher Student Association (PTSA) President Andrea Schroeder logged on and reported Issue #83483: Unsafe signal for left turn. Knowing many others in the Clarkston community were concerned about the intersection, Andrea printed out an email from SeeClickFix about her issue and distributed copies to parents at a recent PTSA meeting. On Monday she began an email chain, forwarding 20 or so people the notification that linked them to the issue. Shortly after pressing "send", recipients of Andreas email were adding their own comments, voting to fix the issue, and encouraging others in the community to do the same by spreading the word themselves. Since Monday, the issue has been viewed over 800 times and received over 300 votes to fix the intersection once and for all. The response, mostly from concerned parents, is unanimous. Guest user J.S. expressed concern about new drivers navigating the intersection on their way to and from school. Many of the drivers attempting to negotiate this area during high traffic times are high school students. Their lack of experience could cause traffic back-ups and/or serious traffic accidents. A left-turn arrow would help alleviate the congestion and danger. SeeClickFix user CHS Parent supports fixing the issue and notes that the intersection has long been in need of improvements. This has been needed for many years. I have seen many drivers make risky and illegal left turns, as well as drivers who are turning right on to Flemings Lake Rd stop on a green signal to let someone turn left and almost get rear ended by the car behind them who weren't anticipating having to stop on a green light. Seems like a green arrow would be a small thing with a huge payoff! User Suzanne Thompson voices her primary concern of ensuring school areas are safe. Anything that makes school areas safer for children should be done. The addition of a left turn arrow at the light would make the area more secure. I'm all for it. The community outcry over this issue has caught the attention of the Road Commission for Oakland County. Someone from the department viewed the issue on SeeClickFix and offered an explanation as to why the problem has yet to be addressed. We track the top 50 intersections and road segments in the county each year in terms of traffic crashes (as documented by police reports). There is no way to track "near" accidents. Since there have been relatively few actual accidents at this intersection, it would not appear in our ranking. Since sending out her SeeClickFix email blast on Monday, Andrea has personally been in contact with the Road Commission for Oakland County, who confirmed that the intersection in front of Clarkston High School is on their radar. However, until drivers are able to safely make a left turn, the PTSA President is committed to keeping the issue and the conversation open. From the initial email chain, to their positive and constructive comments on our site, Andrea Schroeder and the entire Clarkston High School community are perfect examples of how citizens use SeeClickFix to come together and advocate for a resolution to their issues. We can't wait to feature a follow-up post about the intersection improvements that we hope result from their efforts! Flashback to 2007: A group of Estonian friends are discussing their country's illegal dumping problem. Amidst their conversation, they realize this illegal dumping isn't the real issue. In fact, the root of the problem lies in the country's widespread apathy. Hoping to take matters into their own hands, these friends brainstorm how to change this mentality. What emerged was the Let's Do It initiative. With the idea of 'one day, one country,' the Let's Do It initiative involves cooperation throughout the entire society--citizens, NGOS, private companies, and the state--to clean up unprecedented amounts of illegal garbage. For example, in Estonia, over 50,000 citizens came together and cleaned up over 10,000 tons of garbage on May 3, 2008. Starting with Estonia, the campaign has now spread across the globe. In fact, the campaign recently emerged in the United States with yesterday's official launch of Let's Do it SF! in San Francisco, CA. Like previous campaigns before it, Let's Do It SF! hopes to tackle the increasing incidents of illegal dumping and graffiti in the Bay Area. Consisting of three parts (mapping of garbage, public communication, and clean-up day), the initiative will incorporate SeeClickFix into the first part through the use of our free, efficient, and user-friendly technology. A GovFresh contributor and member of the City Attorney's Office, Adriel Hampton wrote that San Francisco's Open311 system allows apps like ours to "interface directly with the city's issue ticketing system, creating both efficiencies and new resources from the developer community." With our mobile applications and widgets, citizens will be trained on how to report and map existing blighted locations, which will then be remedied. Every month, the Department of Public Works will host hundreds of citizen volunteers and city staff on its 'Community Clean Teams' that will plant trees and shrubs, clean up trash, and remove graffiti on public property. Next year, Let's Do It SF! will also participate in the global 'Let's Do It' Cleanup Day. Our proactive approach to cleaning up our streets serves as a warning to would-be polluters that San Francisco residents do not tolerate environmental and social injustice and we take pride in our neighborhoods. Echoing Herrera, the SeeClickFix team hopes our tools will connect citizens online to make a difference offline. We look forward to helping San Francisco communities fight blight! Tell your issue "Say Cheese!" A picture is worth a thousand words, especially here at SeeClickFix! Whether they're inserted in a comment or included when submitting a new report, posting a picture with your issue is sure to get people to notice the problem and help you advocate for a fix. A user in Dunwoody, GA sheds some light on a broken street light by taking a picture with their camera phone and reporting the issue with their SeeClickFix mobile app! Dangerous traffic conditions in Philadelphia are captured by a user while biking home from work and seen by over 550 SeeClickFix users. Cyclists riding on New Haven sidewalks prompted one SeeClickFixer to post this picture- an inspiring idea for a possible fix. Posting a photo with every issue you report to SeeClickFix is a great way to improve your community while practicing your photography skills. So grab your camera phone and tell that issue "Say Cheese!". We promise, that pothole you pass every morning isn't camera shy. Personal Democracy Forum co-founder and techPresident.com editor Micah Sifry recently explored the larger context behind the WikiLeaks controversy in his book WikiLeaks and the Age of Transparency released last month. Despite featuring WikiLeaks in its title, the book does not serve as a comprehensive discussion of the controversy and its leader Julian Assange. Nor does it investigate how WikiLeaks impacts the future of political privacy or secrecy. I have conceived of this book as a report from the trenches where a wide array of small-d democracy and transparency activists are hard at work using new tools and methods to open up powerful institutions and make the more accountable, and to situate WikiLeaks in that movement. On Monday, The Guardian published an adapted essay of the book, which summarized this new 'we-government' and listed SeeClickFix as an archetypal example of it! Want to learn more about WikiLeaks and the Age of Transparency? Click here! A friend of SeeClickFix and SouthWestRaleigh.com contributor, City Councilor Bonner Gaylord recently blogged about how our website helps Raleigh citizens report and track community issues with ease. Oftentimes, people do not know who to contact about community problems, how the fixing process works, and so on. These 'seeds of doubt,' as Gaylord calls them, may create unnecessary confusion and prompt individuals to just live with problems instead of reporting them. Did you expend the energy to start down a mental road thinking, "OK, it's not a federal issue, maybe I could call NC DOT? Or should I call Wake County? No, this is probably the city government. Yep, that's it....I think." Councilor Gaylord, however, says people no longer have to travel down that road. There is now a new road that you can take. It's called SeeClickFix and it answers or renders moot all of the issues above [...] You don't have to find the right person. You don't have to wait until that person is at their desk. You don't have to worry about how clearly your message was received. You don't have to worry if you will be forgotten and you don't have to worry about accountability. You report it, and your government has made a commitment to openly respond, follow up, and be held accountable. The SeeClickFix team would not only like to thank Councilor Gaylord for this fantastic post, but for also serving as a model public servant, one who understands how technology works to foster open communication between citizens and their governments. OnlineCollegesAndUniversities.net recently compiled its list of the "30 Best Blogs for Urban Planning Students" and guess who made the cut? SeeClickFix! SeeClickFix is one of the best examples of how social media, technology, and mobilization can greatly improve neighborhoods. It puts power in the hands of people and allows them to address the issues and injustices they face daily. Featured alongside sites like Streetsblog, EveryBlock, and GOOD, we're happy to help students better understand how cities operate! Last Wednesday, CEO and co-founder Ben Berkowitz attended We Media NYC, served as a mentor for this year's PitchIt! Challenge finalists, and even shared the story behind how SeeClickFix got started. For those that don't remember, SeeClickFix won the $25,000 PitchIt! Challenge--Commercial Category--back in 2009. Check out Ben's 90-second pitch from that year below. We also want to send a big SeeClickFix congrats to this year's winners, Pando Projects and Stable Renters! Tim Potter began using SeeClickFix as a way to warn fellow cyclists about potholes and other dangerous conditions for biking. Thanks to his efforts, issues in Lansing, Michigan reported on SeeClickFix are being noticed by everyone from the City Council to their local NBC affiliate. WILX-TV News 10 reporter Jamie Edmonds learned about our site when she spoke with City Council Member Carol Wood. An active member of her community, as well as an active SCF user, Carol has not only been monitoring Lansing issues on SeeClickFix, but she ensures that reported issues are addressed by the proper city department. After speaking with Carol, Tim and our very own Ben Berkowitz, News 10 aired a segment last night about the use of SeeClickFix for addressing issues in Lansing. We think the story perfectly illustrates how SeeClickFix connects users to their local officials and local media. A huge thank you to Tim, Carol and WILX-TV for helping us spread the word in Lansing, and for encouraging your community to start SeeClickFixin'! Read the story and view the segment here! Like many media outlets before it, the News-Herald has started investigating issues reported on SeeClickFix with its newly-launched 'Today's Gripe' feature. Reported five days ago, Issue #93702- Red lights for no traffic dealt with the unnecessary use of traffic lights near the Northshore Mall. An anonymous local resident explained that this traffic light doesn't need to run all night and should default to flash yellow during off-hours. Is it really necessary to have the Northshore Mall light running all night? Stopping traffic at 5:00 am for the mall with no cars waiting to get out wastes gas and serves east and west bound traffic on Lakeshore no purpose. Having it on yellow flash during off hours at the mall like it used to would be great. Thanks to the Ohio-based newspaper, this issue may soon be resolved. According to Willowick traffic technician Rick Pugh, city traffic lights are currently operating under their regular schedule. The entire city will get new traffic lights, but they have yet to be fully installed. With completion set for late summer, traffic signals will be adjusted to the flow of traffic, sensors, and timers--just as they worked in the past. We're doing a traffic revamping. As they do that, when they put up the lights in the city, they haven't cut the loops in yet. So until they're done, they'll just continue cycling. A big SeeClickFix thanks to the News-Herald for raising awareness about community issues and helping its citizens see results. To report an issue in Willowick or learn more about 'Today's Gripe,' click here. Starting in elementary school and ending in college, teachers repeatedly educated me about the events surrounding the American Revolution, the most common of which--you guessed it--was the Boston Tea Party. Let's take a quick trip down history lane just to refresh your memory. After the British government refused to repeal the Tea Act of 1773, a group of colonists dumped tea in the Boston Harbor, reaffirming the belief of "no taxation without representation." A seminal event in American history, the Boston Tea Party has now reemerged (symbolically, of course) in its hometown with the official launch of the 'Boston Tree Party' campaign. While their colonial counterparts dumped tea, the Tree Partiers hope to 'dump' trees by planting 100 pairs of heirloom apple trees in civic spaces across Greater Boston. Like the Boston Tea Party, the Boston Tree Party is a symbolic political act. The project takes a stand for universal access to fresh, healthy food; for greening out cities; cleaning our air and waterways; reducing our city's carbon footprint; creating habitat for urban wildlife; and for protecting the biodiversity and heritage of our food. With its motto "Frux Civilis" (or Civic Fruit), the Boston Tree Party simultaneously serves as an urban agricultural project and conceptual art project. By planting trees, it will create gathering places, strengthen community relationships, and improve overall health. Paying homage to the Boston Tea Party, it also "playfully reimagines patriotic and political language, imagery, and forms of association." They will require love, attention, and stewardship. That is why we are not just plopping them down willy-nilly through the city. We are starting with communities...who want to play and care for these trees. Here at SeeClickFix, we love the idea of promoting civic engagement through fruit and look forward to seeing how this campaign blossoms! If you want to learn more and/or join the Boston Tree Party, check out its website. SeeClickFix co-founder and CEO Ben Berkowitz recently sat down with The 11 Project to talk transparency, his definition of "the good life", and what he believes humanity needs most these days (spoiler alert: it has to do with potholes!). His interview is featured in The Share Issue, the second issue of this free, digital magazine. The 11 Project editor Brooke Thomas very eloquently explained the inspiration behind their latest theme and the questions posed to the 11 people they asked to share. Connection, community, and sharing seem to be in our DNA. All of these things are an enormous part of what it means to be human. We used to live in very tightly know communities where everyone's connection to, and responsibility for, the other was assumed. We can skip the history lesson, but suffice it to say, somewhere along the way we decided that the single family home with the two car garage was the way to go, and our communities changed drastically. Thank you to Brook and to The 11 Project for helping SeeClickFix share our story! To read what Ben shared, and to get your own free copy of The 11 Project Share Issue, click here! Since announcing the launch of our new Facebook App this Wednesday, we've been amazed by the incredibly positive response from our SeeClickFix online community. From retweets of App media coverage to comments and replies about users' excitement over it, many people have been talking (err, tweeting!) about the potential SeeClickFix has for transforming their neighborhoods. While we have been trying our absolute hardest to respond to as many people as possible, the 20 fingers between the two of us cannot type fast enough! From Emma (left) and Megan (right), the happiest Community Managers in the world! As SeeClickFix Community Managers, we may be slightly biased, but we're pretty sure it's safe to say we have the best online community on the world wide web. We are so appreciative of everyone who has taken the time to spread the word about SeeClickFix. In the days following our launch, we have loved hearing feedback from our community and can't wait to continue the discussion. So, please keep tweeting/Facebook-ing/emailing us whatever's on your mind. And again, thank you! Earlier this week, we told you about the New Haven Register's new 'Gripe of the Day' feature. On Wednesday, the media outlet investigated the lack of bike racks at Union Station after one resident reported it via SeeClickFix. There's tons of space, for example, between the garage and the station. More bike racks would be greatly appreciated. Similar issues, like Issue #89281-Need more bike racks, have been reported in the past and went unnoticed. Now, thanks to the New Haven Register, the future looks promising for local cyclists! This past week, the newspaper contacted the New Haven Parking Authority about its plans to increase the number of bike racks. NHPA executive director William Kilpatrick said they will be adding additional racks to accommodate 100 more bicycles. Construction will begin within the next 10 days. A huge thanks to the New Haven Register for using SeeClickFix to raise awareness about resident concerns. Keep SeeClickFixin'! "Social Citizens" get their fix! Tucson Citizen columnist Carli Brosseau is helping residents in her city get their fix of civic engagement with her latest weekly feature (aptly named) The Fix. Every Tuesday Carli will highlight a recent issue reported to SeeClickFix, write about recent fixes within the community, or address lingering complaints from Tucson citizens. When announcing The Fix, Carli noted Tucson Mayor's Chief of Staff Andrew Greenhill and his support for the city using SeeClickFix as a tool for prioritizing problems. Carli will be monitoring how city officials are responding to problems reported via SeeClickFix and informing citizens on the progress being made. Thank you to Carli and Andrew Greenhill for supporting their community and spreading the word about SeeClickFix! New Haven, Conn. (April 6, 2011) -- With the launch of its new Facebook application, SeeClickFix proudly announces yet another tool for empowering citizens and improving communities. Available today, the SeeClickFix App allows Facebook users to report and monitor non-emergency community issues. It also connects them with neighbors to address their shared concerns ranging from bugs in the municipal fabric such as potholes and graffiti to feature requests such as new trees and murals. With over 50,000 reported issues already resolved through SeeClickFix.com and its mobile phone applications, the most important feature of the new Facebook App will be the offline results generated from users’ online activity. It will tie directly into SeeClickFix’s already-powerful reporting platform, allowing citizens to broadcast their issues directly to the site’s 14,000 registered public officials. "Facebook has proven to be a powerful platform for encouraging people to plant virtual trees and improve virtual neighborhoods. When considering recent events, like the revolutionary wave in the Middle East, it’s also proven to be a powerful tool for organizing around social and political issues” explained SeeClickFix CEO Ben Berkowitz about the inspiration behind the company’s first Facebook application. “We are excited to see how Facebook users make real-life, offline changes to their communities through our application." When the App is installed, the user’s location is pulled either directly from his or her current Facebook profile location or entered manually if no location is given. Once the location is set, the user can start reporting issues, creating watch areas, discovering problems reported by neighbors, and, most important, advocating for an issue to be fixed. Users can automatically post reported issues to their walls, allowing friends to comment on the issue or vote for a fix. With these features, SeeClickFix hopes to support both online and offline collaboration among users. SeeClickFix government and media partners can incorporate the App as a tab on their official Facebook pages, providing citizens with another method of directly communicating their concerns. With content translated into over 10 languages, the SeeClickFix Facebook App will also support international users. The SeeClickFix Facebook App will also utilize game mechanics to engage users, encourage activity, and foster face-to-face interaction among neighbors.To incentivize user activity, the App will award Civic Points for completing certain tasks ranging from installing the App and reporting an issue to uploading images and getting an issue fixed. The App will eventually rank users against their neighbors based on Civic Points earned and allow them to readily view where they stand. How do you say "pothole" in...?